【MULTI-FILTRATION SYSTEM】: 4 Stages of filtration can easily remove lime scale, germs in hard water to provide purer and finer mist, helpful for body absorption and better breath. 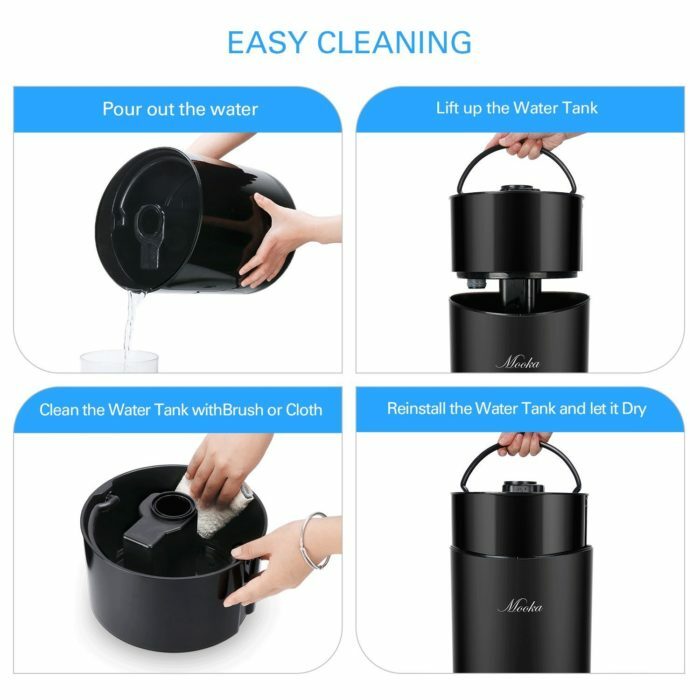 【EASY TO CLEAN】: Because of the wide opening design, you can clean every nook and cranny of the water tank completely by your hand directly, instead of harmful chemical agents. 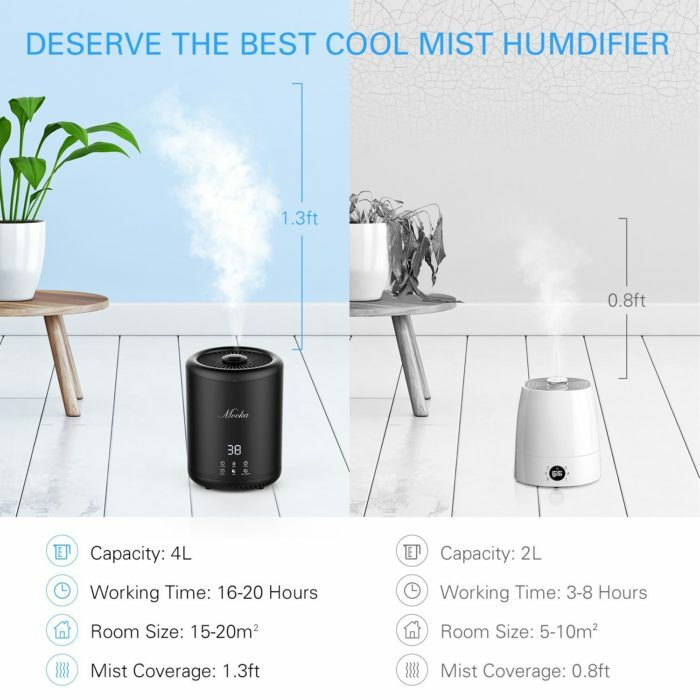 【4L VAST CAPACITY】: With 4L vast capacity and adjustable 3 mist output modes, Enjoy about 16hours continuous working hours with just one refill. Wide opening design to top fill water. 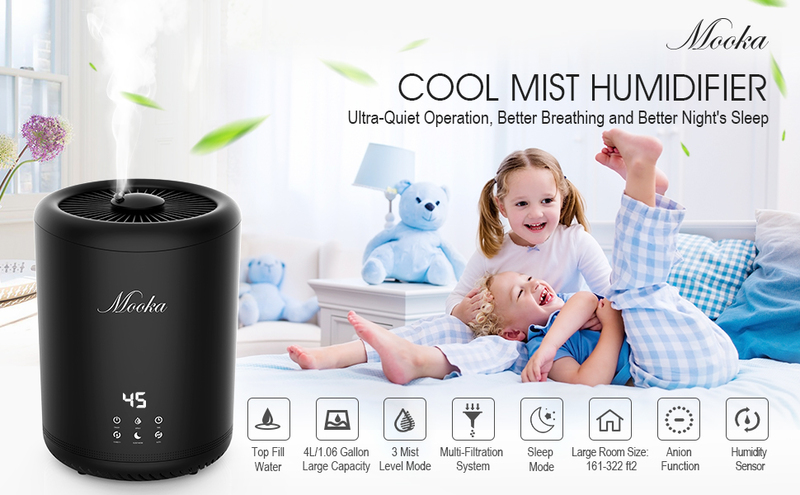 【HUMIDIFIER SENSOR】: Detect the indoor humidity in real time. 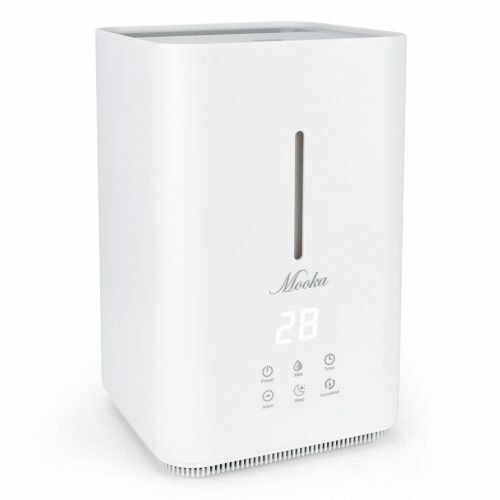 You can set a suitable and comfortable humidity mode based on the surrounding environment. 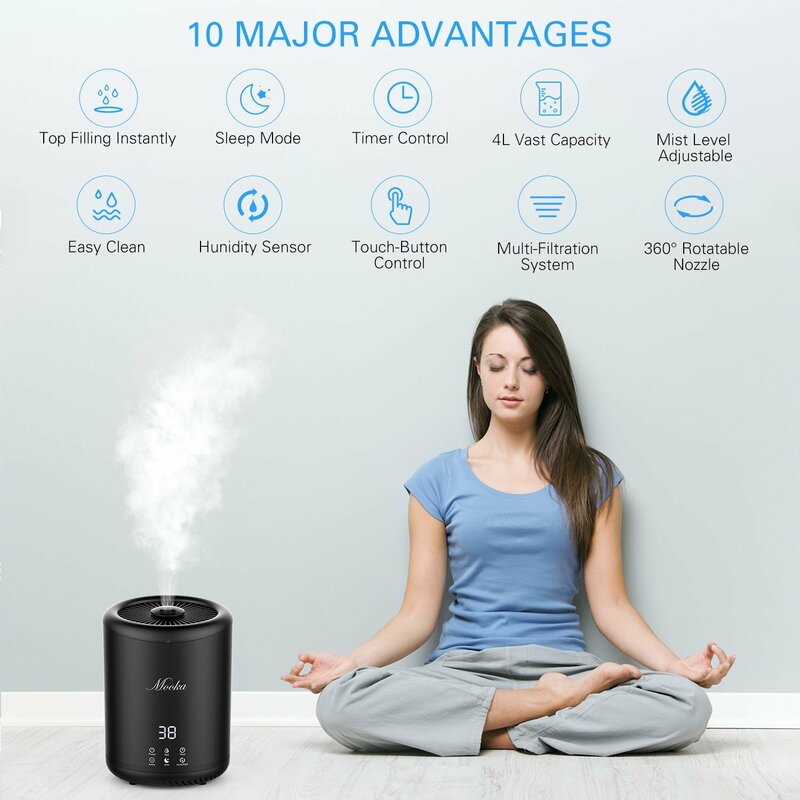 It is a good choice to give relief to cough and insomnia for better breathing. 【PERFECT DESIGN】: The bright black design makes it look very stylish. 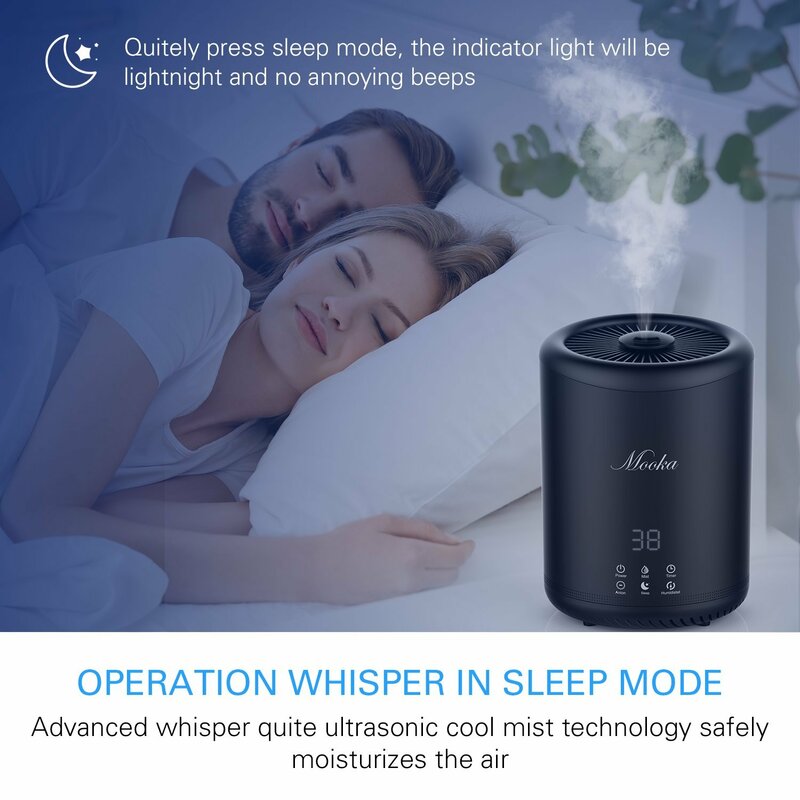 With Whisper-quiet operation, it will not affect your sleep at all. 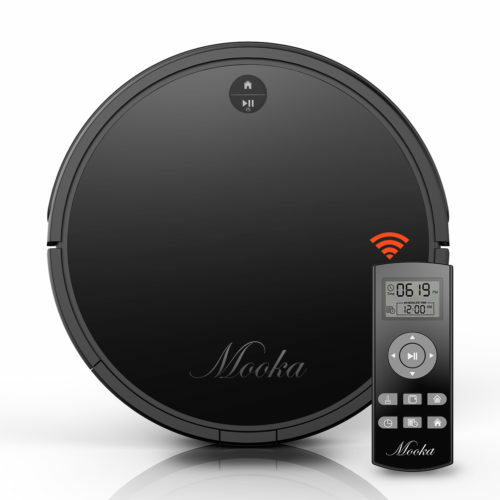 A built-in timer can be programmed from 1 to 12 hours. Size(in):8.39*8.39*13.15. 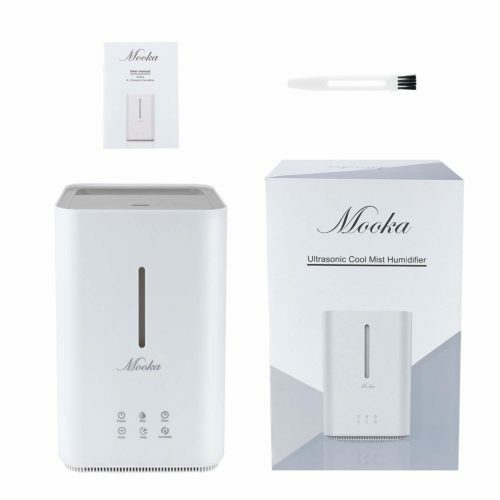 Mooka humidifier using high-frequency ultrasonic oscillation technology, atomizes water into very fine 1-5 um particles. Keep your house always fresh. 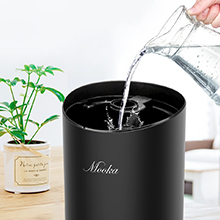 Large Capacity: 4L large capacity which can support up to 16 hours continuous working and bring you all day freshness with only one time water filling. Muti-Filtration: 3 Stages filtration can easily remove lime scale, germs in water to provide purer and finer mist, helpful for body absorption and better breath. Whisper-quiet: With Whisper-quiet operation, it adopts the new denoise designs and the operating-silent fan to protect you from noise. 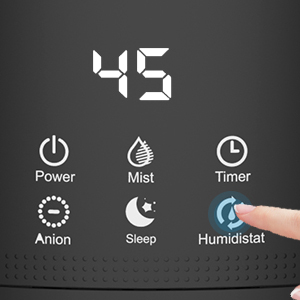 Humidity Sensor: Detect the indoor humidity in real time. 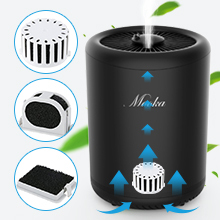 You can set a suitable and comfortable humidity mode based on the surrounding environment. 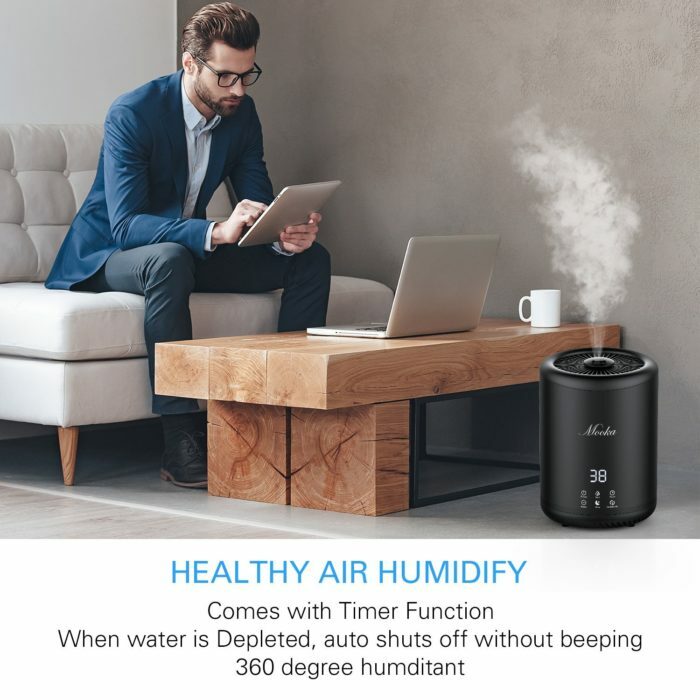 45%-60% is the optimum humidity zone for human health. 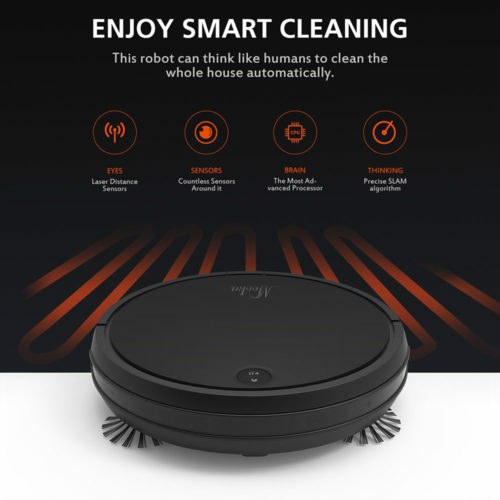 Easy to Clean: Wide opening design, make it easy to clean every nook and cranny of the water tank by hand directly, instead of harmful chemical agents. Low humidity will lead to cough, dry sinuses, dry skin. However, if too high it will caused mildew. 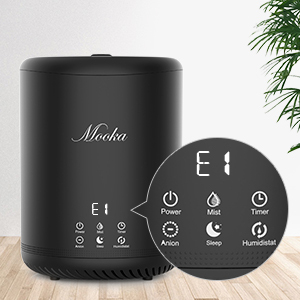 Mooka humidifier built-in humidity sensor can show real time humidity level on the LED screen and let you customize it, also you can adjust the humidity level to the most comfortable environmental humidity range 45% to 65%. 1. 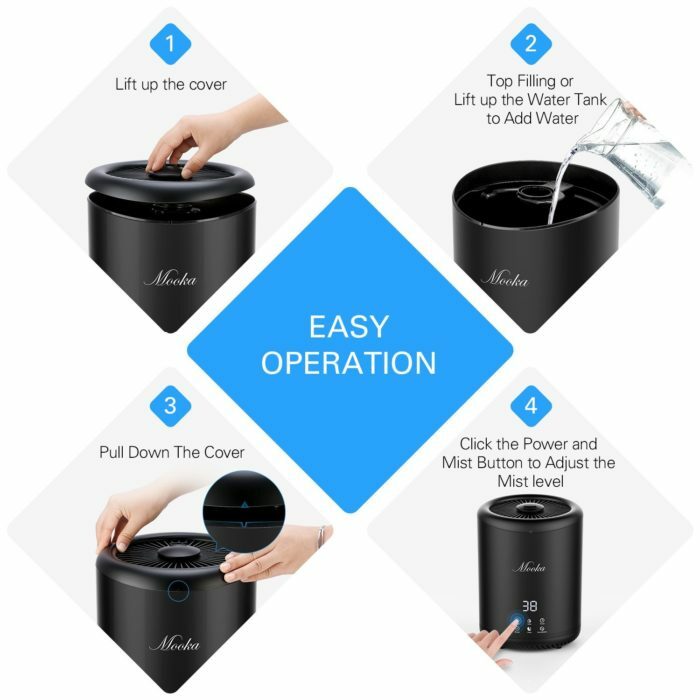 Pour enough water into tank and set aside for 30-60 sec, let the water goes down to touch the atomized tablets, then power on the machine. 2. Check if the water tank placed into the base completely. 3. Do not pour water into tank through the mist outlet since it caused the machine stopping working. 4.Take out the brush below the water tank and try to start it again, sometimes the brush is not in the proper position. 5.Check the drain valve whether the water can fill through it to the bottom. 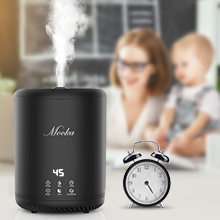 This humidifiers has 4L large capacity which can support up to 16 hours continuous working and bring you all day freshness with only one time water filling. 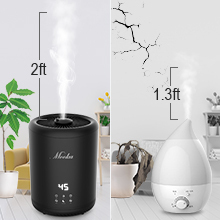 Higher mist, smaller particle, easier to spread out,3 mist level adjustable, low, medium, high, you can set the perfect mist output for any seasons and any room size. 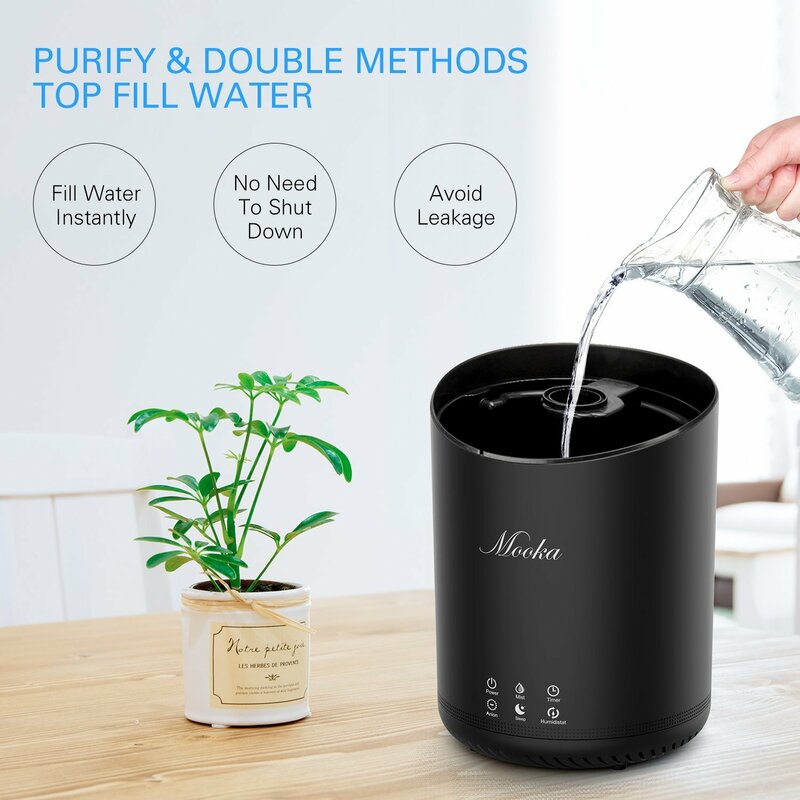 3 Stages of filtration can easily remove lime scale, germs in hard water to provide purer and finer mist, helpful for body absorption and better breath. 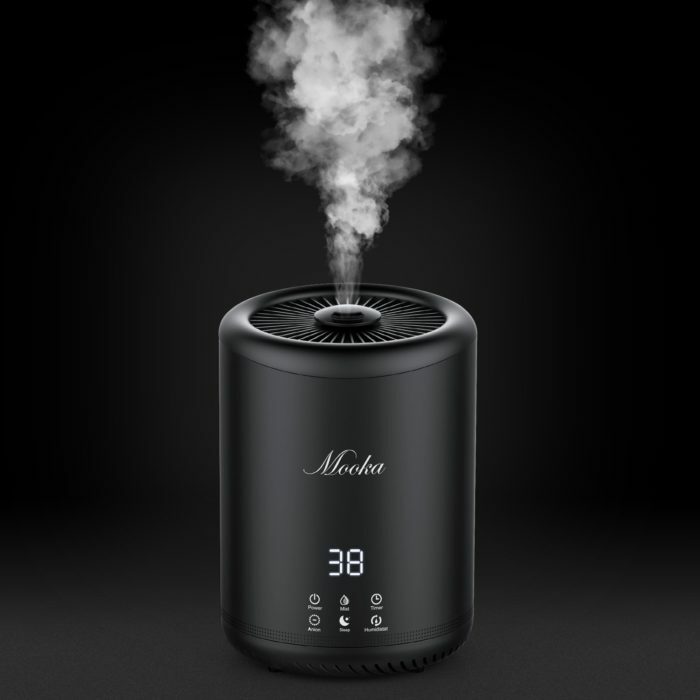 Features a built-in timer that can be programmed from 1 to 12 hours, the humidifier will automatically turn off when the timer has finished counting down. 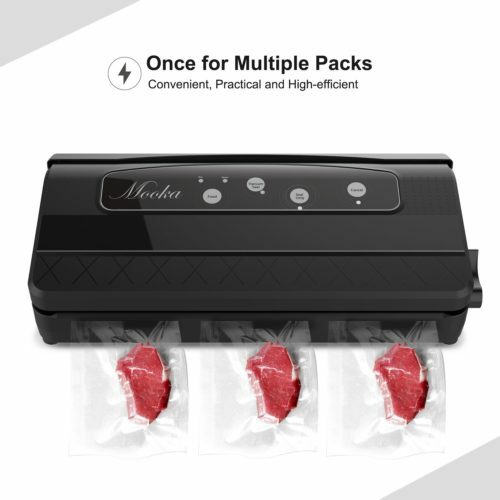 Question: Are any of these reviews legit? seems a lot write the same with a poor command of the english language. take notice amazon. Answer: I have had mine for a month now and have nothing negative to say about it. It is very quiet. Portable so I can easily move to different parts of the house. Does a good job of putting moisture in the house. Question: Does it make noise? Question: Does it stop working automatically when it runs out of water? Question: How well does it work with well water? 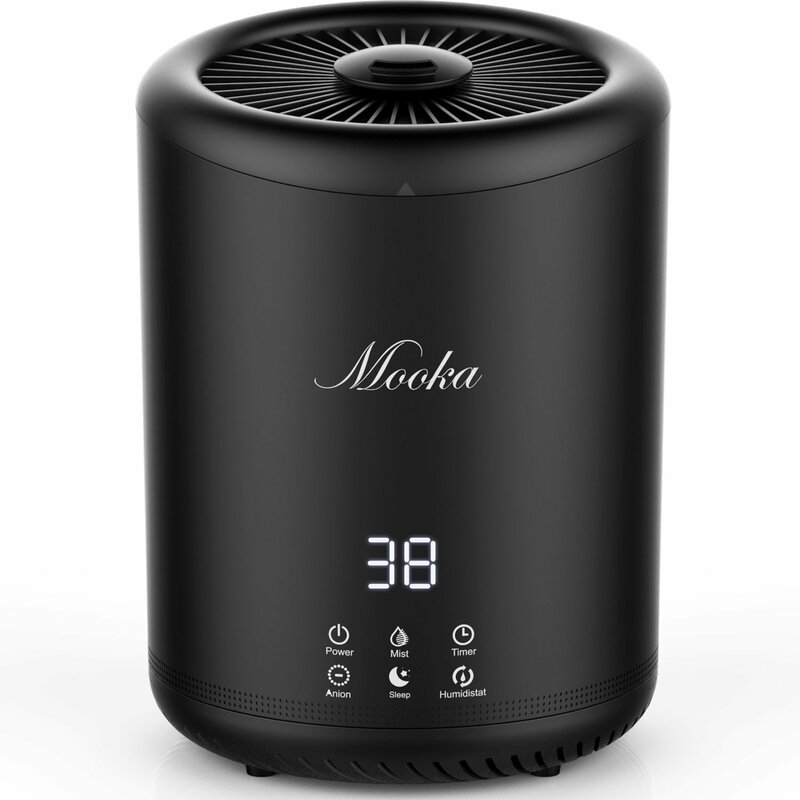 Answer: I put reverse osmosis filtered water in my Mooka. You would need to clean the filer in your Mooka if you use well water although I don’t know how often you would need to clean it. Question: Is the humidifier quiet? I mean really quiet for a senior bedroom with light sleep adult? Answer: I am 63 and very sensitive to sounds. It’s very quiet to me. 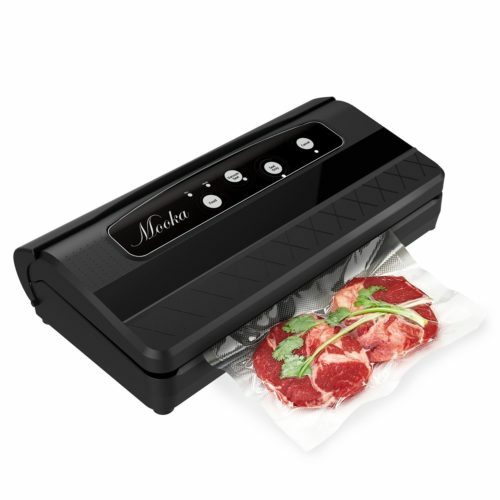 Question: I don’t see an auto-shutoff feature. Is there one? Answer: Hi friends, yes, once there is no water, it will beep and show E1 or HH in the Screen. Then auto-shut off.